Explaining Fibromyalgia to people is one of the toughest tasks for a person suffering from the condition. The answer to the question, "So what do you go through when you have fibromyalgia?" is quite extensive and patients find it strange to go on and on with the umpteen problems they face. The biggest hurdle is the fact that people with fibromyalgia do not look sick. We are trying here to make it easier for people to explain and understand the symptoms in a non-medical language. 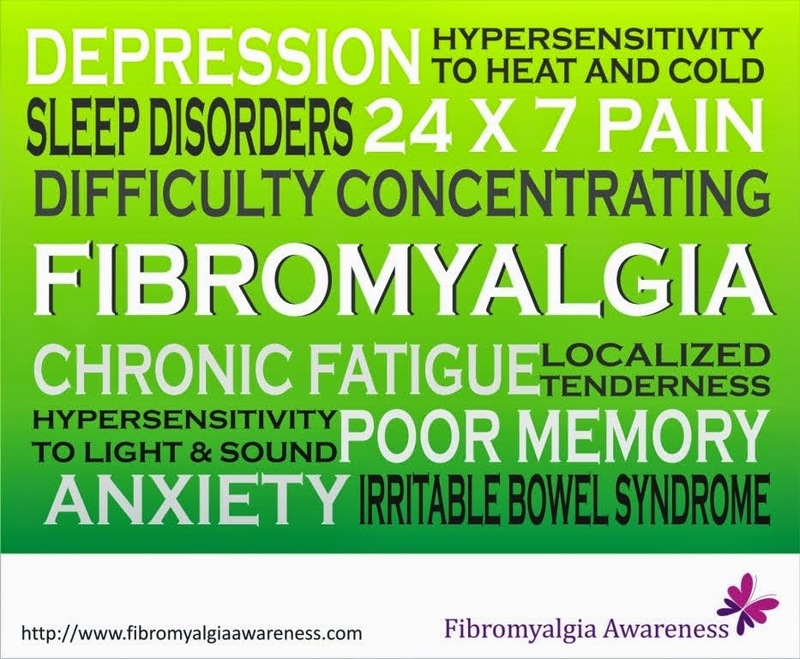 Please view our Fibromyalgia Awareness Video on Daily Symptoms that has been created out of our most effective poster. Please SHARE to help us spread the word. Have you Liked our Fibromyalgia Awareness Facebook page yet? Do join us today and help us raise awareness! Have you ever faced exhaustion? My exhaustion goes hand in hand with my pain. Like I went for shopping this weekend. So for 4-5 hours we were shopping. As my knees don't hurt now while walking :D I could do well on that day. But after I came home, I just fall asleep and I had to sleep for 24*2 hrs to let out my exhaustion. Even today I am yawing yawing n yawing. I am still feeling that I want to sleep more. This exhaustion gives me feeling that I am not capable of anything and how on the earth I will manage everything in my life. I just wanted to ask you that do you also face such exhaustion. I have to put leave on every alternate day as I can't wake up because of my early morning exhaustions. Hey good you wrote to me. I have experienced the non-stop yawning thing a lot and now know the reason. First, of course, is the exhaustion. But most importantly it might have something to do with the time at which you take your medicine. Try to take your tablet at night a couple of hours earlier as the effect of some tabs stays till late. Also, shopping for 4-5 hours is possible on some days, but the effect is seen the next day. Try not to overexert. Include some fresh fruits in your diet and reducing sweets might help. I cannot give up on my sweet cravings, but I know it helps. Take care.